It is becoming increasingly difficult to purchase a high-end condo in Honolulu under $1,000,000 – depending on how one defines high-end, obviously! We decided to take a closer look at 5 popular condo neighborhoods – Kakaako, Waikiki, Diamond Head’s Gold Coast, Hawaii Kai and Downtown – and select the best condo from each of these neighborhood where you sometimes – or often, in some cases – can purchase a great condo under $1,000,000 (as of writing). The area of Kakaako is rapidly becoming the most places to live in Honolulu. Conveniently located within walking distance to shopping, parks, restaurants, bars and movie theater, many residents of Kakaako rarely need to drive a car to get where they want to go. Just minutes from the coast, Kakaako is bordered on the south by Ala Moana Beach Park, right next to Magic Island. Inland, the Ala Moana Shopping Center has all your shopping needs covered. Hip, vibrant, and family-friendly with some of Honolulu’s top schools in close proximity, Kakaako is up-and-coming and first part of Ward Village in Kakaako is already nicely taking shape. About 20 new condos are planned in the Kakaako neighborhood over the next decade or longer. At the moment, however, Koolani offers the best deal around the $1M price point. 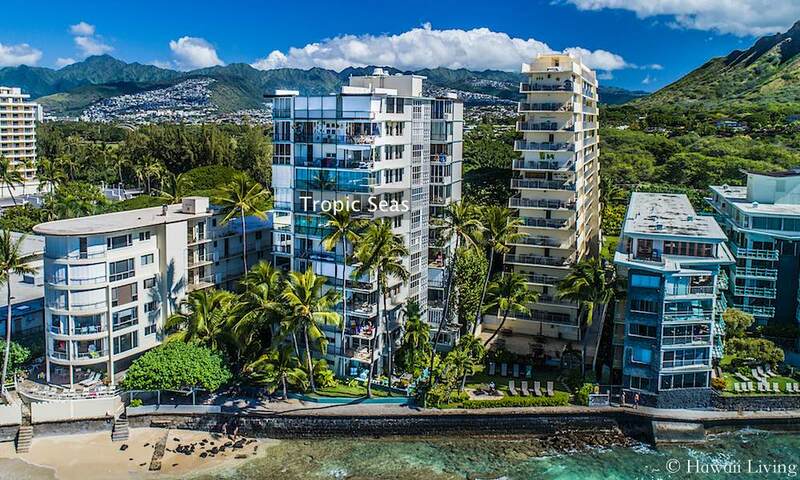 Located a stone-throw away from the beach, most of Koolani’s 2BR units offer spectacular ocean views. Two proposed project by Howard Hughes between Waiea and Hokua could change that, however, the development is not set to be completed for many years to come. Most of the 2BR units are about 1,150sf and the layout of all 2BR units are very similar, except the 08 stack which boasts more than 1,400sf. Koolani features one of the most comprehensive gyms of any condo in Honolulu, arguably the best, with a steam room, yoga classes & more. Koolani is also located right by a popular park where many families with kids gather daily. Waikiki is what most people imagine when they think of Hawaii: sandy boardwalks packed with visitors and locals soaking up the sun and the breeze. A whopping 72,000 tourists visit Waikiki each day and is the single neighborhood with most hotels and condos on Oahu. Popular for those who love a vibrant neighborhood close to unlimited shopping and restaurant options while being exposed to a large tourist scene. 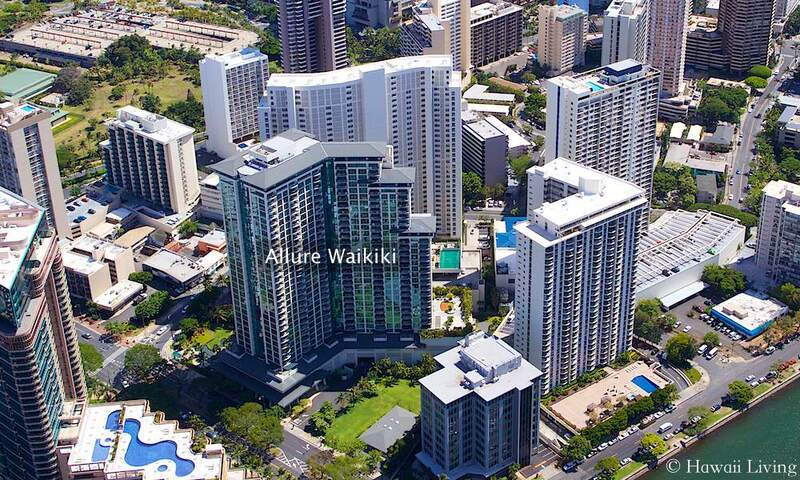 There is more than 100 condos in Waikiki, however, Allure offers one of the best deals in the $1M range. Most 2BR units – in the 1,000 to 1,200sf range – are sold under $1,000,000 and some 3BR around 1,400sf are also closed to the $1,000,000 mark. Ocean views are non-existing or average for most of the units around or under $1,000,000. Allure Waikiki has one of the most spectacular resort like swimming pools in Honolulu and the BBQ area is also very inviting and resort like. 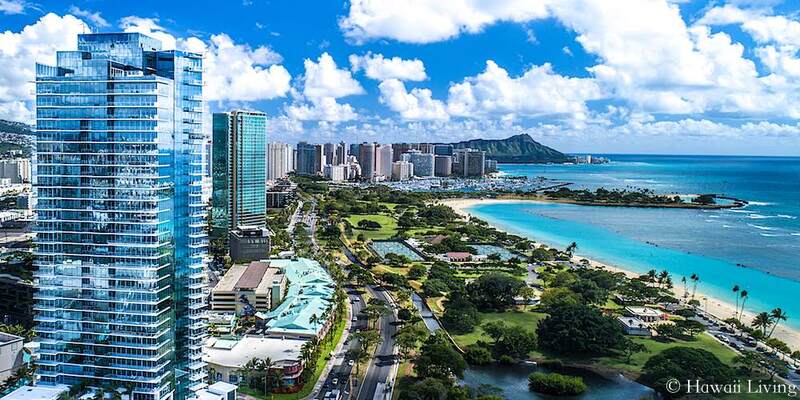 Popular for its location with even distance to central Waikiki (where all action takes place) and Ala Moana Shopping Center. Set at the foot of majestic Diamond Head, the Gold Coast is where the elite of Oahu have flocked for decades. Because of setback requirements instituted since the heyday of condo development in the 1950s and 60s, the Gold Coast condos are one-of-a-kind and can never be replicated. Sitting right on the ocean’s edge, each development boasts the best ocean views you will, arguably, find anywhere in Honolulu. At the beginning of the Gold Coast (near Waikiki) you will find Kaimana Beach, one of the most amazing beaches in Honolulu – popular among swimmers, paddle surfers, surfers and canoers. Of the 16 condos on the Gold Coast, Tropic Seas offers one of the best deals for a $1,000,000 budget. For less than this price point you can purchase a beautiful removed 1BR unit with picture perfect ocean views. 2BR units with stunning ocean views, tend to go for substantially more than $1,000,000. The building is simple, like all Gold Coast condos. You pay for the ocean views, location and not for a modern building with fancy amenities. For those who love life on the water, there’s no place like Hawaii Kai, a planned development that almost feels like a tropical Venice. Located on the east side of Maunalua Bay, Hawaii Kai is about a 25 min drive to Waikiki (off peak hours), but it feels like a world away. Several condos and townhomes are built on man-made marinas, waterfront, which is a unique appeal of Hawaii Kai. Some owners, who have a boat on the marina, even use their boat as a means to go shopping from time to time. 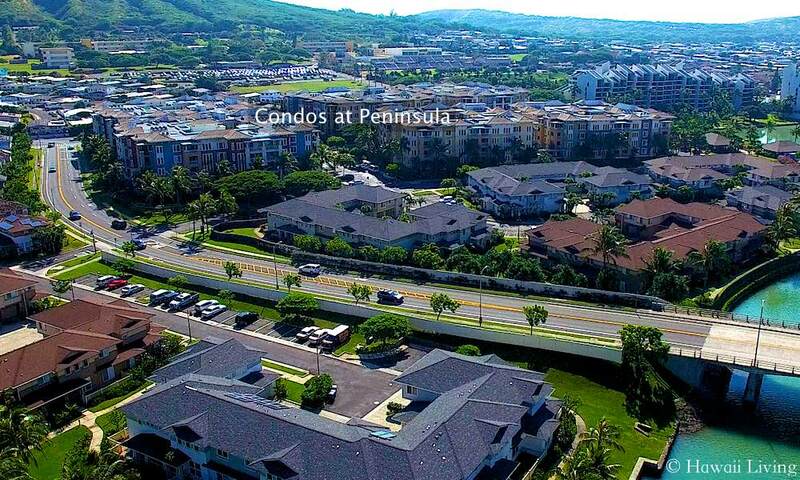 There are a few excellent condos in Hawaii Kai to choose from, but Peninsula at Hawaii Kai offers the overall best value in the $1,000,000 price range. This project is gated and there are a mix of condos, townhomes and single-family residences. A number of 3BR units with about 1,450sf interior in a townhouse setting sell for around $1,000,000. 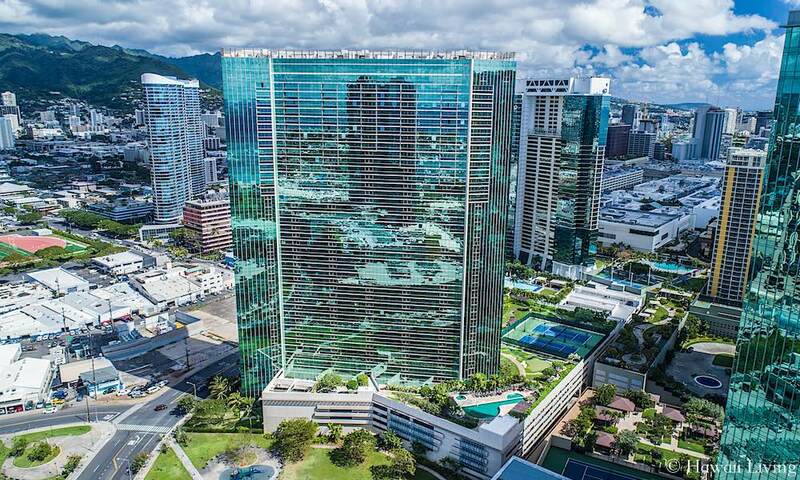 Located in Downtown Honolulu, The Pinnacle offers luxury living in a central setting with stunning views (from higher floors) and easy accessibility to government and business offices, restaurants and bars, and just a short walk to Chinatown. This 37-story building offers access via elevators that open directly into your private foyer. Each floor has a maximum of two units, increasing space, privacy and guaranteeing you a panoramic view from your lanai. The Pinnacle’s west side faces Honolulu Harbor and the Keehi Lagoon. To the south, from higher floors, you’ll get views Kakaako, Diamond Head & more. The downside of living here is that your views include nearby buildings and the area in general lacks energy and excitement of a place like Waikiki. Most of the Pinnacle’s units are about 1,400sf in size and go for around $1M, although a few of the floors have been combined into 4BR units that sell for a much higher price point. When purchasing, consider the neighborhood carefully too, not just the building. You may get space in Hawaii Kai, but will be quite a distance from the busy part of Honolulu (Waikiki & Ala Moana). On the Gold Coast you get views and spectacular surroundings, but buildings are old. In Waikiki you have access to most of what you may need, but it is fast paced, busy and noisy. In Kakaako you will be part of a modern community, but may be exposed to ongoing noise from new construction.